In addition to a high-end new Galaxy Note phone that already feels overshadowed by a more distant Galaxy S10, Samsung is widely expected to take the wraps off a smartwatch running either Tizen or Wear OS, as well as a large Android tablet in the near future. The latter is set to follow in the footsteps of the spring 2017-released Galaxy Tab S3, unsurprisingly carrying the Tab S4 name, and looking… familiar. 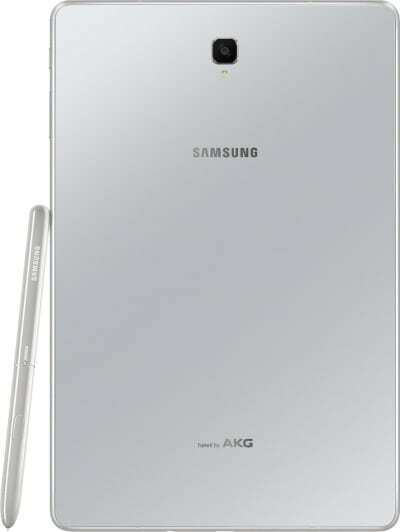 A couple of freshly leaked renders put the spotlight on a sleek white version (or perhaps silver), with no fingerprint scanner in sight, relatively thin screen bezels, a clean back featuring just a couple of logos and a non-protruding camera, as well as a keyboard and stylus companion. The new S Pen is arguably the most interesting thing revealed today, as it significantly alters the design of its predecessor. Apart from a more eye-catching glossy finish, this bad boy ditches the old clip that obviously had no functional purpose, but could almost fool you into thinking you were dealing with an actual pen. 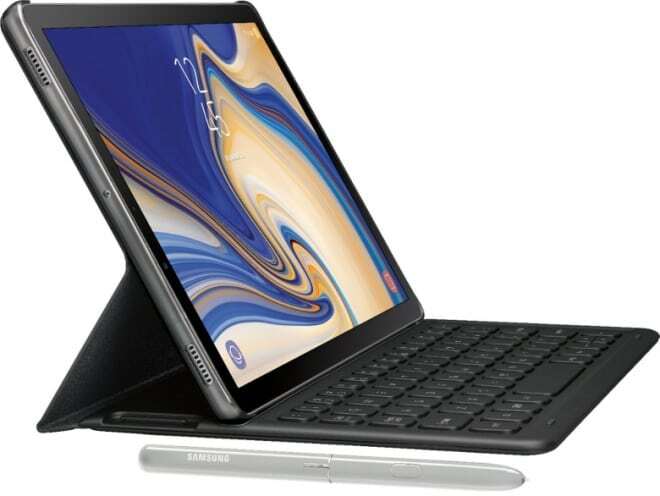 Speaking of functionality however, we don’t know if the Galaxy Tab S4 S Pen will follow the suit of the creativity-encouraging Galaxy Note 9 assistant, supporting Bluetooth technology and thus carrying its own battery. That feels like a safe bet, but we’ll have to wait a little while longer to find out for sure. Maybe until August 9 or perhaps until IFA Berlin kicks off on August 31.